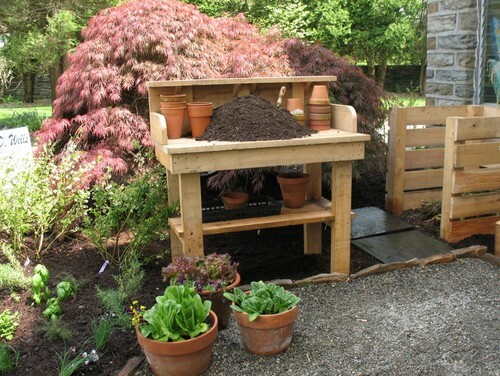 The rewards of gardening are great — fresh air, exercise, nature and relaxation, to name a few. 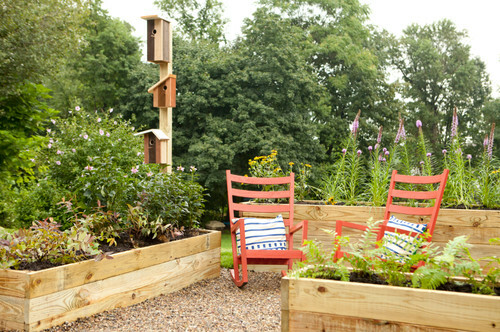 But designing and planting your very first garden can feel like a bit of a chore. Luckily, gardens are surprisingly forgiving creations, and the best way to learn is by simply diving in. 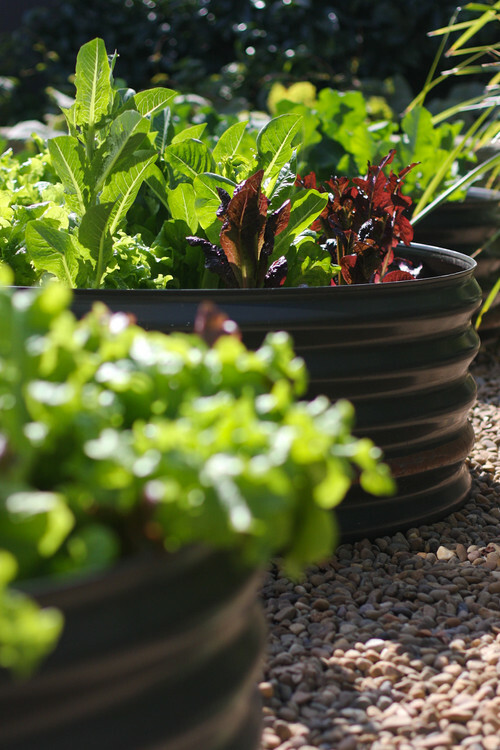 Here are 10 tips for beginning gardeners, so you can get your garden off on the right foot. Gather a few images that inspire you and look for a theme. 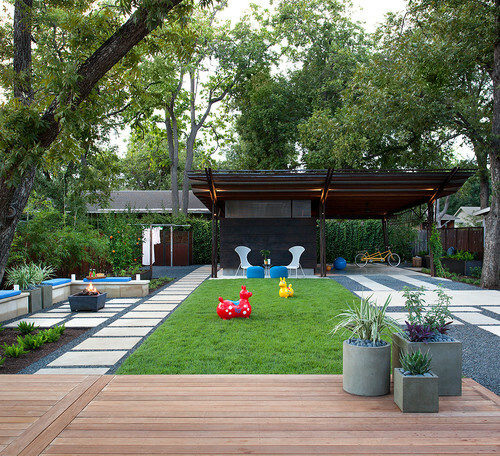 Are you drawn to lush flower-filled gardens or more crisply defined modern outdoor spaces? It helps to pair a few words with the pictures you’ve chosen, so try to come up with something that evokes the sort of garden you want, even if it’s not an “official” style term. One great way to give your garden a professionally designed look (with little effort) is to repeat the same plants and hardscaping materials in different places throughout the landscape. 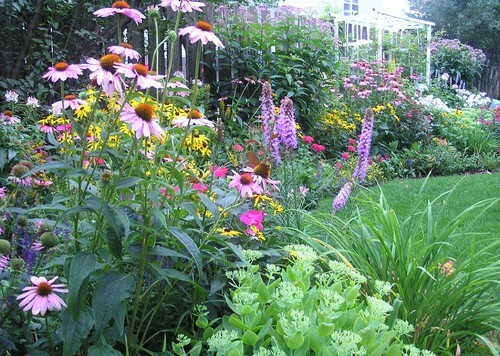 Avoid picking one plant of each type, as this tends to appear jumbled — even in a wild English cottage-style garden, plants look best when repeated or planted in clusters. 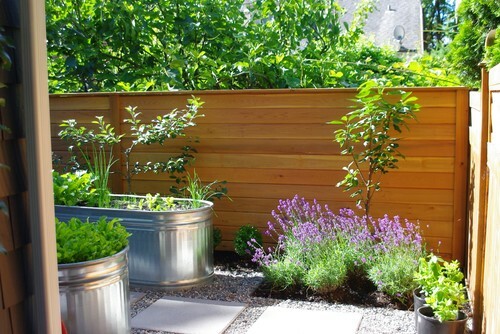 The same goes for other materials: Choose just a few hardscaping materials for paths, pots, planters and outdoor furniture, and repeat, repeat, repeat.